La Aurora ADN Dominicano translates to mean "Dominican DNA." No, this isn't the start of an episode of Forensic Files or The First 48, rather the "DNA" in this case refers to the cigar's unique Andullo tobacco in the filler blend—a unique style that is said to be the Dominican Republic's oldest tobacco process! 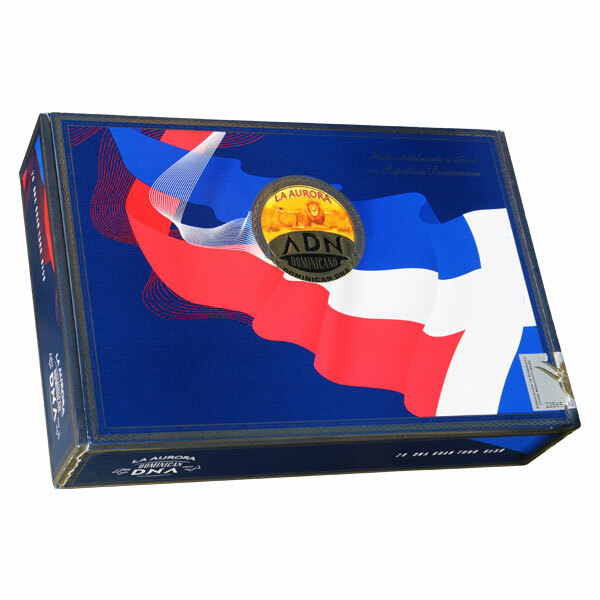 And with La Aurora being the oldest cigar factory in the DR—famously established in 1903—it makes perfect sense that they would offer the ultimate throwback with ADN Dominicano. Essentially, the unique Andullo tobacco undergoes a curing/fermentation process much different than usual practices, whereby the leaves are bound in palm leaf sheaths and tightly coiled by ropes. The leaves are unbound, pressed, and re-bound again and again until the Andullo cylinders finish drying, ultimately taking on a thicker appearance and noticeably more intense strength, aroma, and sweetness. While Andullo tobaccos have been incorporated into cigars in the past, never has a full leaf been incorporated, such as with La Aurora ADN Dominicano. The Andullo tobacco has been paired with Dominican, Pennsylvanian, and Nicaraguan leaves in the cigar's filler recipe; the binder is an exotic African Cameroon; and the cigar is finished with an oily Dominican wrapper from the country's Cibao Valley. The cigar showcases classic flavor tendencies, a satisfying balance of sweetness, and a hearty, medium to medium-plus body. Travel back to the beginnings of tobacco culture in the Dominican Republic and get a taste of authentic Dominican DNA!